No one ever thinks they would fall for a scam or enter into a bad deal…but it looks like it happened to me. Several of you have emailed me asking why there have not been any new posts this past week and the reason for that was the situation discussed in this post. Don’t worry, I plan to continue with new posts every MWF. The short of it is that I singed a rental agreement between a friend and I. 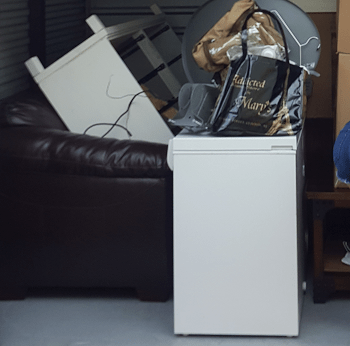 This living arrangement ended with me living out of a hotel and spending thousands of dollars to get a new place as the deal soon went south and left me with no place to live. Four months ago I went to Austin looking for an apartment for my new job. For my living situation, I decided that my first year as an attending it would be better to rent and not buy. I have two friends in Austin which would help in the apartment search. One is getting his PhD and cash flowing his degree while the other is a real estate agent full time. My friend who is obtaining his PhD still contracts for work as an engineer part time with a business that has employed him for the past 6 years. Since he has stable income and money saved up he decided to buy his own condo and use the realtor friend to help in the buying process. Red flag #1: My friend who is not working full time is trying to buy a condo. When I went to go look for apartments in Austin I was greeted by these friends who offered the spare bedroom in the condo he was purchasing. I thought this seems like a great deal since I already knew we get along well and he would charge me half the rent I would have paid at any of the other places I toured. So I stopped my search and signed a paper stating that I would move in and pay a certain amount of rent starting in July. This all occurred about 2-3 months before my official move. Red flag #2: If its too good to be true, it probably is. For the next couple of months I get relatively no updates on the status of the condo other than they have signed some contracts. They also did tell me that the garage for the condo would not be ready by move in and told me it was not a big deal. Red Flag #3: The condo was not finished. They asked if it would bug me if they did the construction on the garage during the day to which I replied no as I would be at work throughout the day and would not be bothered by it. At this point I was told that we could still move in and that the seller would fix the issue once the permit would go through. I was never told anything about the mortgage lender not approving the mortgage until the garage is finished. Turns out this was the original agreement that both the buyer and seller signed and the bank did not want to close till that was done. (I had no idea of the language as I had not seen their contract). July comes and the move in date is here. 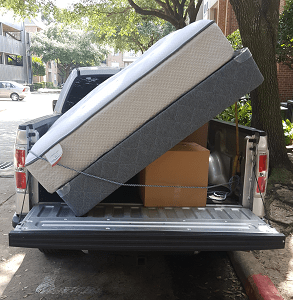 I move my stuff to Austin and think that everything is going well. I pay my share of the rent to my friend and go on with my life studying for boards and work. Upon finishing boards one day this past week I come home to find that all of my items are out on the curb. I call my friend who bought the condo and get no reply since he was at work. So I call the realtor friend who starting complaining that the close never actually happened because of the permits and the friend I was living with was actually doing a rent back till close (this information would have been nice to know!). Turns out that the permits could take months and his close date came and went (Aug 15th). At this point my realtor friend also tells me that this is his first time representing a buyer. Red Flag #4: Inexperienced Realtor. Since the property market is so hot right now in Austin, the seller reportedly received an all cash offer as is and took it. The seller ended up to this date never fixing the garage and the permits have still not been issued. Our way of finding out was by his lawyer calling my friend and telling him to vacate immediately since their agreement only went to the date of the close (Aug 15th.) I found out by all my stuff being out of the apartment on the driveway. This happened one day after I finished taking boards. I had no idea that my friend did not officially close on his condo. There are a lot of emotions that ran through my mind such as wondering if I just got scammed by my friends. I also was mad that my friends kept me totally in the dark about the whole contract situation. I was under the impression that since I had a contract to rent from my friend that he had closed on the condo and it was never discussed that he was actually doing a rent back till close. Some of my family and other friends have asked if I will sue since I technically had a contract with my friend to rent through December. At this time I think it would be best if I move forward with my life and leave this situation and these friends in the rear view mirror. This can be done without Suing. In the end I had to pay money to rent a storage unit plus $400 for hotel bills. I then had to go rent at a place that was available immediately. Since I was desperate I ended up spending more than I initially wanted as most places had nothing in a 1 bedroom available till a month in the future. I estimate that this will end up costing me about $4,000 to $5,000 extra. Overall this was an expensive financial lesson and filled with lots of negative emotions. The deal seemed to good to be true and in the end this ended up being the case. There were some red flags along the way, most of which I ignored as I was preoccupied with starting my new job and taking boards. I’m not saying that I am at fault, but I’m also not denying that I overlooked some obvious red flags. Not only will I end up spending about $4,000 more than I originally planned, but I have not talked to these previous friends since this all occurred. I feel that the friendships is most likely permanently over and will not survive this event, which is unfortunate as I have know them since I was in kindergarten. I do take something positive away from this whole experience. I have a lot of excellent support in my life and it has shown me that clear communication is key to many aspects of life. If communication would have been better with these two old friends, then I most likely would have rented somewhere else as I would not have entered into a contract that has potential to end immediately if the condo does not close. Ouch. Not the stress you need to be dealing with when you’re launching your career. There were at a minimum some non-discosures and misleading information given by your buddies. This is a pretty major SNAFU, but if you’ve been friends with these guys for 25 years, I’m guessing time will heal some of the wounds from this incident.